A few days ago we talked about how blood cancer research is important for understanding other cancers as well. To help all of that make sense, today I’ll go through the basics of blood cancer. Cancer is characterized by the uncontrolled growth of cells. Although they have this growth characteristic in common, different types of cancer, such as lung cancer, breast cancer, and skin cancer, are actually separate diseases. To make things even more complex, blood cancer is itself comprised of several different diseases. Blood cancers are characterized by the uncontrolled growth of cells in the bone marrow and lymphatic system, often called white blood cells. Let’s start at the beginning. All blood cells originate in the bone marrow. They develop along very particular paths into two major lineages called myeloid cells and lymphoid cells. Both myeloid and lymphoid cells are part of the immune system. Myeloid cells, like granulocytes, fight disease-causing agents non-specifically. In contrast, lymphoid cells, B- and T-cells, are immune cells that each recognize a specific substance as foreign. Any of these cell types can be involved in cancer if they are induced to grow uncontrollably (for instance, by mutations in the DNA). Leukemia, lymphoma and myeloma are the most common blood cancers, distinguished by the origin and type of cell involved. Leukemia originates in the bone marrow and can involve either myeloid or lymphoid cells. In contrast, lymphomas originate in the lymphatic tissue, particularly the lymph nodes. In addition, lymphomas are lymphoid in origin, involving B- or T-cells. Unlike leukemia, where the cancer cells circulate in the blood, lymphomas actually form a solid tumor. Myeloma, like leukemia, originates in the bone marrow, but it involves a very particular cell called a plasma cell, which comes from a B-cell, a lymphoid cell. By studying and understanding normal blood development, researchers can better understand what is occurring in cancer. And, as we saw a couple days ago, understanding blood cancer can lead to breakthroughs in other cancers as well. The beauty of research is you never know what you're going to learn, which just illustrates the importance of supporting all types of research. Today we’re introducing you to New Voice, Jackie Maffucci, Human Protections Research Scientist who is working as a contractor for the military. Jackie: I am a contractor for the military. I work for an independent agency to supplement the government workforce. I have worked on three different contracts since starting here. First, I worked in a policy office where I was focused on the policies providing health and medical support for the troops. Then I was part of a project in which I worked directly with service members, helping to get them compensation for traumatic injuries. Now I am working to provide oversight to the institutions within the Army that perform research using human subjects. I help ensure that the use of human subjects follows Department of Defense and Army regulations. Some of this work includes reviewing assurances (agreements between the research institutions and our office stating that they will follow these regulations) and human research protections plans (which outline how they are going to follow these regulations). NV: What is the most exciting part of what you do? Jackie: I like that I am helping service members on a daily basis. I really enjoy interacting with people because I feel in “real time” that I’m making a difference. When I correspond on a screen or on paper, I can’t vary my message to make sure that my audience is receiving it, but when I am directly interacting with someone, I can. There is an inherent reward in that. NV: Who’s your role model? Jackie: Mrs. Krueger, my eighth grade science teacher. She really encouraged me to pursue science even though I was leaning toward English. She helped me realize that a lot of what I loved about the humanities can carry over into science, like creativity. Science isn’t boring; it’s interactive and creative! Mrs. Krueger really made me recognize my potential. Jackie: Just do it. Find a way to do it. There are some small things you can start with like writing a blog, or even making comments on other blogs. You can write an article about a subject you care about and submit it to a journal or a local newspaper. You can get involved with a scientific society; most have a policy board. Or you can get in touch with a member of Congress and volunteer to be involved in their science advising. There are plenty of opportunities out there, just find the time. Jackie: I get the impression from my interactions with scientists that they think their role is to make the discoveries, but not necessarily to describe those discoveries to the public. But, if the scientists don’t take the time to explain the work, then the usefulness of their research gets lost in translation. Publishing is not where their job ends, it’s where their job begins. It’s the scientist’s duty to talk about the importance of their work and represent it honestly to the public and policy makers, as well as their colleagues. Some of you may remember that Jackie was a regular blogger for New Voices from September 2009 through January 2010 - including the excellent From Ideas to Treatments series on clinical research. We thank Jackie for giving us some time to learn more about her current position and her passion for science and outreach. We've told you about Your Candidates - Your Health before, but with a week to go until the election, we thought we'd let some of our supporters tell you why you should use this great tool as you think about how to make your vote count. Blood cancer is a big part of my life. That sounds terrible, so let me explain. As mentioned in my introductory post, I coach the Leukemia and Lymphoma Society’s Team in Training--Hike team where I help raise awareness about blood cancers. In addition, I completed my graduate work in cancer genetics, particularly identifying mutations that cause leukemia, a blood cancer. I realize that you don’t all have the same ties as I do, but blood cancer may play a bigger role in your life than you think. For one, blood cancers will account for 9% of the new cancer cases diagnosed in the US this year. But, thanks to research, many blood cancers respond very well to treatment. Nearly half of all the new cancer drugs approved since 2000 were first approved to treat a blood cancer. Hodgkin lymphoma is one of the most treatable forms of cancer with 88% of patients surviving at least five years after their diagnosis (five-year survival rate). The five-year survival rate for non-Hodgkin lymphoma is 69.1%. Acute lymphoid leukemia (ALL) is the most common blood cancer in children, and it has an amazing five-year survival rate of 90.8% (for children under 5). But there’s good news for others as well. Research in this field has an even bigger reach than just blood cancer. Almost 75% of the blood cancer drugs approved since 2000 are currently in clinical trials to be used for treatment of other cancer types. Gleevec is a targeted therapy that was developed to treat the blood cancer chronic myeloid leukemia (CML) and is also approved to treat a type of stomach cancer, called gastrointestinal stromal tumor (GIST), and five other diseases. Blood cancer research has often been at the forefront of expanding our understanding of all types of cancer, and not just because of the drugs I mentioned. For instance, the first “cancer stem cell”, the cell from which the cancer originates, was identified in acute myeloid leukemia (AML). Cancer stem cells have subsequently been found in other tumors, such as breast and prostate cancer. The idea of the cancer stem cell is still being studied, but it may have huge implications for how cancer is treated. Obviously, research on one disease can translate to many diseases. These types of breakthroughs can only occur if we keep funding this very important research. What happens at 6:02 on 10/23? Can't figure it out? It's mole day! Mole day is celebrated from 6:02am-6:02pm on October 23 to commemorate Avogadro's number: 6.02x1023 (get it?). I'm sure the chemistry-lovers out there already know this, but to clarify: Avogadro determined that one mole of any given substance contains 6.02x1023 particles. So, to celebrate, get crazy--drink one mole of water (18g or 0.63 ounces) at 6:02am! *Don't worry, it's still the 22nd. We just wanted to prepare you for tomorrow. 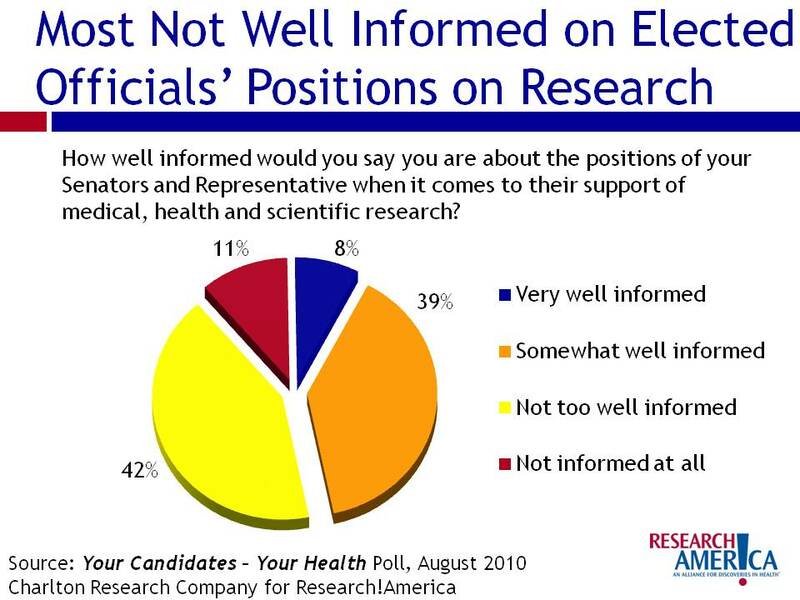 How will the elections impact investment in health research? What can the advocacy community expect from the 112th Congress? What strategies will ensure research remains a funding priority? Join us November 16 for a distinguished panel of speakers that will help us survey the landscape in the aftermath of this year's midterm elections. The event, a part of our Your Candidates-Your Health voter education initiative, will be held in the auditorium at the American Association for the Advancement of Science in Washington, DC. Norman J. Ornstein, PhD, of the American Enterprise Institute for Public Policy Research. Admission is free, and the event begins at 10 a.m. with a breakfast and networking opportunity. Speakers will present starting at 10:30 a.m., and a question-and-answer session will follow. To sign up for the event, visit the event listing on our website. 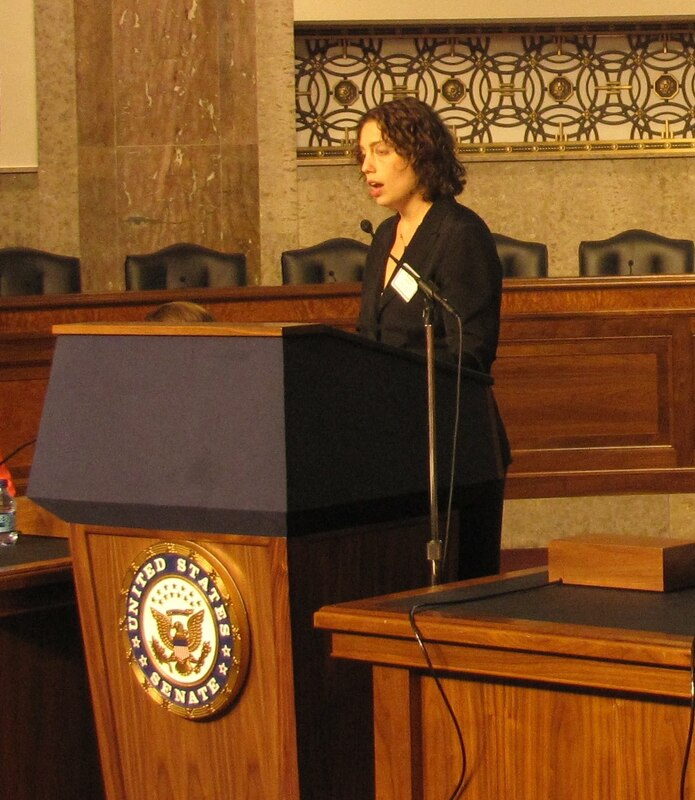 Dr. Lieberman, a brilliant early-career investigator, shared her story at the Congressional briefing we co-hosted with ACS, "Investing in Our Future: A New Generation of Researchers." 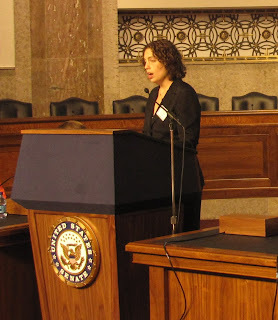 Raquel L. Lieberman, Ph.D. joined the faculty of the School of Chemistry at Georgia Tech in January 2008 as an assistant professor after a joint postdoctoral research position at Harvard Medical School, Brigham & Women’s Hospital and Brandeis University in Boston, MA. She graduated from MIT with a bachelor in science in Chemistry and from Northwestern with a PhD and is a native of New York City. Dr. Lieberman's lab investigates proteins, the "worker molecule" of your body. The lab first tries to understand how normal proteins function so that they can understand how abnormal proteins cause diseases, like glaucoma and Alzheimer's disease. They can use this knowledge about abnormal proteins to try to design new ways to treat or diagnose the diseases. Dr. Lieberman also shared with the audience the many jobs involved in being a Principle Investigator and some of the difficulties of being an early-career researcher. You can see her power point presentation to see what it takes to be an assistant professor here (slides 31-42). Many of you may remember the TV show Life Goes On. I know it was one of the few shows my family watched regularly. It followed the Thatcher family through everyday life, though their lives might have been slightly more challenging. They had a son, Corky, with Down Syndrome. Life Goes On was the first television series to have a main character with Down Syndrome. In fact, the show was created around the actor who played Corky, Chris Burke. An important message to viewers was that people with Down Syndrome can function in the “real world”. Corky was “mainstreamed” into the regular high school, rather than being placed in a special school for students with special needs. I think the fact that Chris Burke successfully played the character of Corky for four years illustrates the abilities of people with Down Syndrome even more. Now, on Tuesday evenings, you can see two actresses following the path blazed by Burke in the television phenomenon Glee. Lauren Potter plays Becky, a peppy member of the Cheerios cheerleading squad; and Robin Trocki plays Jean Sylvester, Sue Sylvester's older sister. This October is Down Syndrome Awareness month, and there is no better way to celebrate than to tip our hats to those who stand out by showing us that the only true difference is in our chromosomes. Books have immense power. They can change the way we look at the world or the way we think about things. They can help us understand difficult concepts and turn seemingly boring material adventurous. 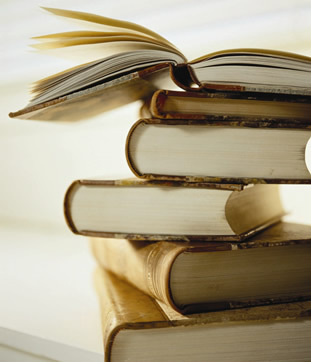 Here is a list of great books for scientists that have the ability to do all of those things. You might think that you read enough about science at work, but this reading will be much more enjoyable (as if that’s hard to do). I know what you’re thinking: Periodic table—boring. But, Kean manages to show the importance of the elements represented on the table throughout history while also making them interesting. This book is full of anecdotes that might even make you want to retake chemistry. Who knew it could be this intriguing? This book examines bizarre experiments that were—sometimes surprisingly—scientifically methodical and published in peer-reviewed journals, but they are nothing like the research you’ve read about all day. From gory Frankenstein-like experiments to studying the myth of “beer goggles”, this book won’t disappoint. If only everyday in lab was this exciting! Varmus has had a storied career through science, including winning the Nobel Prize in Medicine in 1989 for his work identifying genes that cause cancer, and directing the nation’s foremost medical research institution, the National Institutes of Health. This memoir follows it all, from his early graduate work—in English Literature!—to his foray into the political side of science. A great read for scientists and non-scientists alike. An inspiration to many neuroscientists, this book is composed of profiles of patients with neurological disorders. Sacks chronicles the case studies and life stories of each fascinating patient in a riveting and compassionate manner, making it clear that he truly cares about the individuals. You may come away with a different view of people after reading this book. Others covered this weeks ago, but I got busy with something else. Are distractible people really more creative? Since we're so close to the election of a new Congress, a look at political science versus politics. How many hours should a scientist work every week? Six keys to being excellent at anything is a refresher on all those things you learned in middle school study skills. Professor-student relations. Have you gotten to know yours lately? Ready for the Mid-Term Elections? I just attended my first “political” event, The Hotline Mid-Term Cram Session hosted by the National Journal. I’ve been to policy events before, but they’ve never been quite so political. Here, I heard the executive directors of the National Republican Congressional Committee and the National Republican Senatorial Committee debate the executive directors of the Democratic Congressional Campaign Committee and the Democratic Senatorial Campaign Committee. As you might expect, the Democratic leaders and Republican leaders disagreed on almost everything…except where the exciting races are being run. There are several Senatorial races that should be watched closely, namely in Nevada, Colorado, Illinois, Kentucky, Washington and California. Because these are hotly contested races, I figured the leading candidates would want their constituents to know where they stand on important issues--to know what differentiates them from their opponent. So I went to the Your Candidates - Your Health website to see how the battling candidates feel on issues of great importance to many of us, health and research. Guess how many of the candidates from the two major parties in those six states have responded to the survey. None. And only 8 of the 36 total candidates in those states have responses available. That’s right, the voters in those states have to make a very important decision without necessary information. Scientific research has a major impact on everyone’s daily life. The way we understand and treat disease is rapidly evolving, thanks to major advances facilitated by research. More importantly, though, research improves the economy in addition to health. Then why is it that, aside from whether someone voted for or against the healthcare reform law, do we know very little about how our candidates feel about science and technology? The members of the 112th Congress will shape how research is done in this country, which will have a huge impact on the health of the nation. That is why we need to know where our candidates stand. Visit the site to see what your candidates think. Let them know that these topics are significant to you and our country, and urge them to answer the questions if they haven’t already. Dr. Hussain Shuler represented early-career investigators and shared his amazing work at the briefing we co-hosted with ACS, "Investing in Our Future: A New Generation of Researchers." He joined the Department of Neuroscience as an Associate Professor in 2008 after completing his post-doctoral research with Dr. Mark Bear at the Picower Institute for Learning Memory at MIT as a Howard Hughes fellow. He received a Ph.D. in Neurobiology from Duke University, Durham NC in 2001, working in the laboratory of Miguel Nicolelis, having received a NRSA fellowship. He received a B.A. with distinction in Neuroscience from the University of Virginia, working with Dr. David Hill, where he was a Howard Hughes Undergraduate Research Apprentice (1995). Here is a brief description of what he told the audience about his work: The brain is particularly good at helping people adapt to their surroundings; and it rewards itself for learning new, more appropriate behaviors – a process called reinforcement learning. At the Hussain Shuler laboratory, our job is to understand how that process works inside the network of the brain. We use an interdisciplinary approach that includes mapping neural activity, genomics, and behavior. Little is known about how reinforcement learning works in the brain. Studying these processes will directly impact our understanding of diseases such as Alzheimer’s, schizophrenia and drug abuse. Take a look at his power point presentation (slides 23-30) to see a really cool model used to study reinforcement learning. Today we're trying to understand phobias, the extreme and irrational fear of something. Take a look at a woman with musophobia, the fear of mice. We like to laugh, but phobias can be debilitating to the people who have them--and 10% of people have a phobia of something! Here you can hear a little about trying to conquer your fears. Yesterday, Research!America and the American Chemical Society co-hosted a congressional briefing that is right up our alley: Investing in Our Future: A New Generation of Researchers. (See Rachel Shoop’s summary of the event.) Clearly, investing in young scientists resonates with the community, as was seen by the large turnout. As Mr. John Edward Porter, former Congressman and current chair of Research!America, pointed out, the US is the global leader in scientific research but there are strong competitors. We must work to maintain our competitiveness, and that means investing in science, technology, innovation and research, particularly in the young scientists that are our future. Apparently, it’s not just the early-career investigators out there who think this funding is crucial. These scientists have a much bigger impact than simply satisfying their scientific curiosity. According to Iain Cockburn, PhD, Professor of Finance and Economics, School of Management, Boston University, the life sciences are the “crown jewel” of our economy. Scientists’ progress leads to improvements in human health, more jobs, and economic growth. The point is that a small investment in young scientists now will have a huge payoff later. What’s more, the lack of investment can have devastating effects. Meryl Comer, president and CEO of the Geoffrey Beene Gives Back Alzheimer’s Initiative, emphasized that the lack of funding is not only decimating the research but also discouraging young scientists from pursuing research as a career. This is where we are going to lose our competitiveness. Raquel Lieberman, PhD, Assistant Professor, Georgia Institute of Technology, a brilliant early-career investigator herself, pointed out what many late-stage graduate students are shocked to realize: running a lab is more like running a small business, only they didn’t go to business school. The job becomes all about funding, with new investigators writing around 20 grants in their first year. How can they take care of the rest of the “business” when they worry so much about where the money is coming from? Marshall Hussain Shuler, PhD of Johns Hopkins University demonstrated the level of expertise and creativity these early-career researchers have - essential components of discovery. Their new and unique visions will blaze the path for the future of research. To make that happen, we must alleviate the pressure from these early-career investigators. It seems that they just can’t find enough money or time. There needs to be more funding directed to early-career investigators so they can focus on the research and teaching aspects of their jobs. Those are the aspects that will have the most impact. Regardless, there definitely needs to be more advocacy. Ms. Comer and Mr. Porter both stressed the importance of advocacy in getting support for an issue meaningful to you. This is a very important issue--we need to let others know, too. Research!America has been annually estimating how much the U.S. spends on health research for nearly a decade. The past few estimates have been fairly predictable, but I was interested to begin work on the 2009 report (released today) to see the impacts of the recession and the American Recovery and Reinvestment Act funding meant to stimulate research and the economy. Without the ARRA funding, the investment in health research would have practically flat-lined in actual dollar amounts. It is the only reason that the percentage of the national expenditures for health that was spent on research was stable at 5.6%. Let’s take a closer look at some of the numbers, starting with industry. We rely on the annual Pharmaceutical Industry Profile published by the Pharmaceutical Research and Manufacturers of America for our pharmaceutical and biotechnology industry numbers. Although some may be skeptical of the data, I learned at a meeting last year that we are considered lucky by many others in the field of research resources tracking to have an industry that does a comprehensive annual survey on R&D expenditures. The 2010 Profile estimates that the biopharmaceutical industry spent $65.3 billion in 2009. That is a $1.6 billion increase over the actual 2008 amount of $63.7 billion, but just $0.1 billion over the previous year’s $63.2 billion estimate (which is what we used in our 2008 report). Tracking R&D resources in the medical technology industry as a whole is a fairly new endeavor. Ernst & Young published for the first time last year their Pulse of the Industry: Medical Technology Report. Ernst &Young shared with us their most up-to-date figures for the industry—$9.047 billion spent on R&D in 2009— which can vary based on the make-up of the current roster of public U.S. companies as well as re-statements by the companies. Although the health research industry did not experience a big decline in R&D spending as some other industries have, it is apparent that the recession brought steady growth in industry R&D to a halt. Other private funders, such as the voluntary health associations, were also negatively affected. Not surprising since many rely on donations and their investments to support their research and other programs. On the flip-side, independent research institutes stepped-up their R&D spending from their endowments, possibly to compensate for reduced funding from other sources. The National Institutes of Health, which accounts for the majority of federal health research funding, spent $4.953 billion of its ARRA funding in 2009 in addition to its regular program level of $30.554 billion. The National Science Foundation’s FY 2011 budget request shows the actual 2009 ARRA funding, which added up to $880 million for the disciplines that we include based on our definition of health research. Another agency that received a significant boost in research funding due to ARRA was the Department of Energy Office of Science, of which $327 million was for research to improve health. Nearly three-quarters of the increase in the U.S. investment in health research from 2008 to 2009 was due to ARRA funding. The effects of stimulus will last through FY 2010, but the funding for research to improve health must grow long-term. Industry, the federal government, academic institutions, state and local governments and other private funders must make a commitment to improving the health of Americans and the economy by increasing their investments in research. 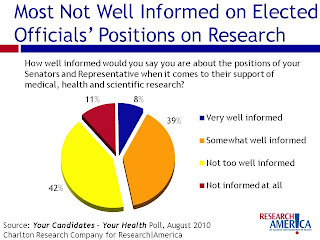 Read the 2009 U.S. Investment in Health Research report for more information. Does it seem to anyone else like October is just flying past? Our loyal readers may have noticed that our regular Wednesday post profiling an advocate for research popped up yesterday - wishful thinking on our part? So, because we don't want anyone to miss Tuneage Tuesday (even if it is Wednesday), check out this video we saw on Science Friday about the best male dance moves. What are your favorite dance moves? Do you agree with the study? 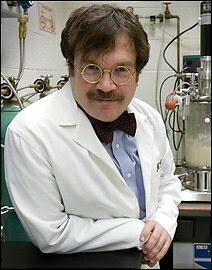 Today we're profiling Peter Hotez, PhD, MD, of George Washington University Medical Center. He is also President of the Sabin Vaccine Institute and Editor-in-Chief of Public Library of Science Neglected Tropical Diseases magazine. I’m a pediatrician, a researcher and an advocate for the health of people around the world. This includes leading a team to develop vaccines for neglected tropical diseases (NTDs) through the Human Hookworm Vaccine Initiative and the Schistosomiasis Vaccine Initiative. I also helped start the Global Network for Neglected Tropical Diseases, an advocacy initiative of the Sabin Vaccine Institute, where I serve as President. Additionally I do a lot of biomedical research, publish scientific papers and teach at The George Washington University Medical School where I chair the Department of Microbiology, Immunology, and Tropical Disease. 2. What motivates you to do advocacy? It all started when I began visiting places in the world where neglected tropical diseases are most visible. I was struck by the devastating pathology I saw and knew something had to be done as soon as possible. I also knew that while vaccines are the long term solution, developing one takes many years and something had to be done right away. Many of these diseases are completely preventable and treatable with only a few cents. It was really just a matter of letting the global community know about it. So I started talking about the diseases that you don’t hear about as often, but are just as much to blame for trapping people in the cycle of poverty. 3. What limits your ability to do advocacy? For me, it’s about balancing my roles and responsibilities. At Sabin, we like to say “We’re scientists. We’re researchers. And we’re advocates for a world free of needless human suffering.” There are certainly times when I wish I could do more direct advocacy because I think it’s important to speak on behalf of patients who can’t. This is why I helped create the Global Network. But I know it’s also important to keep one foot grounded in the sciences and invest in long-term solutions. I think spending time in the lab makes me more effective as an advocate because it gives me a unique perspective. 4. Do your colleagues do advocacy and outreach? Why or why not? To be a scientist in the United States today doesn’t just mean developing vaccines. You also have to ensure your work is funded. As a result I need to spend a lot of time writing and submitting grants. There isn’t a lot of time left for advocacy so I know that many of my colleagues don’t have capacity to advocate outside of the lab. 5. Do you think outreach and advocacy is a responsibility of scientists? Should it be required? Some scientists just aren’t made out to be advocates. But we need scientists who have the capacity to be advocates to serve as a public voice to educate people, and be able to raise awareness and impact of pressing global health issues. 6. In what ways do you reach out? I spend a fair amount of time engaging press for interviews, profiles and op-eds. I am also the editor-in-chief of a peer-reviewed scientific journal called Public Library of Science Neglected Tropical Diseases (PLoS NTDs). So mainly [I reach out] through my writing. I engage in public speaking opportunities, speaking to both lay and scientific audiences. Finally, living in Washington, D.C. allows me to take advocacy into the political arena. I frequently visit Capitol Hill and several regulatory agencies to talk about NTDs and how the U.S. government can play a bigger role in helping control and eliminate NTDs around the world. Dr. Hotez: No, not everywhere. We try to be strategic in how we develop vaccines and maximize access to treatments to help the world’s poorest people. Thank you to Dr. Hotez for giving us his time via phone so we could learn more about him and his career. Take action now! Urge your representative and senators to pass the Stem Cell Research Advancement Act (H.R. 4808 in the House and S. 3766 in the Senate) this year. The U.S. must continue to invest in embryonic stem cell research and a legislative solution is necessary to ensure that federal funding for this important research is no longer vulnerable to political or ideological challenge. The 111th Congress must act now: call on Congress to pass a bill in 2010 that explicitly authorizes the NIH to fund hESC research. Write to your delegation in support of embryonic stem cell research now! I glanced at my calendar the other day and was astonished to realize that this was already my last week here as a science policy intern at Research!America. I feel like I've finally gotten into the swing of things, just in time to move on. Isn't that always the way? Thankfully, I do know where I'm headed next, and that is... Mozambique (if, like me upon first hearing my destination, you're aren't positive where Mozambique is, check the map on the right). I am officially a future Peace Corps Volunteer and will be leaving at the end of September to spend two years in Mozambique teaching chemistry in Portuguese, the official language of Mozambique, and a language I as of yet do not speak a word of. 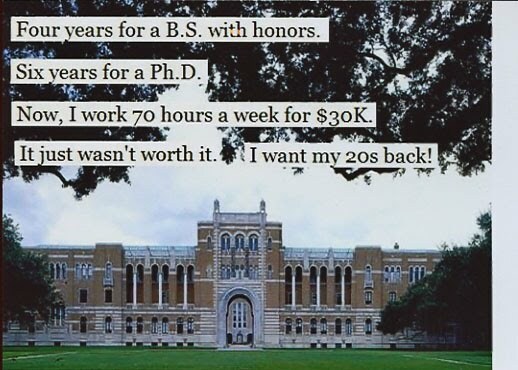 I'm not too worried though, mostly because one thing I realized here at Research!America is that in just three short months (the length of both my internship and my training in Mozambique before I start teaching) the amount I can learn is way more than I ever thought before. So adeus, New Voices, and thank you for teaching me so much and giving me such amazing opportunities this summer. Alissa wrote this post before her departure in late August, but we saved it for today since it is the first day of her training in Mozambique. New Voices is going to miss having Alissa around (it's pretty quiet in the office without her) but we're looking forward to hearing her updates about teaching science abroad. Best of luck Alissa!